Matt Thompson is the Senior Curator at the Ironbridge Gorge Museum Trust. An archaeologist, he has experience of working with a range of museums, from small independents to large nationals. His current role covers all of the Trust’s collections across its 10 sites, including the library and archives, and the scheduled monuments and archaeology exhibitions. Matt’s research interests include interpreting and understanding representations of historic landscapes, and the role of heritage in the public understanding of the past. Our aim is to transform the Museum of The Gorge through a complete redesign of the gallery and an upgrade of the existing auditorium, to create a dynamic space that can be used for museum and community events. The iconic building that houses the museum lies at the heart of the Ironbridge Gorge World Heritage Site. 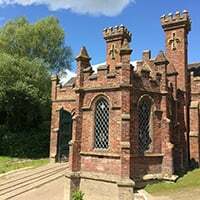 It was built in 1834 in a gothic style and once served as the Severn Warehouse for the Coalbrookdale Company. Goods would be brought down from the furnaces and forges in Coalbrookdale and shipped down the river Severn to the markets of Gloucester, Bristol and the Empire beyond. Set right on the river, with wonderful views of the Iron Bridge, the new museum will narrate the story of how the river, roads, railways and canals came together to make the Gorge a vibrant hub of industry from the 1600s right up to the 1950s. Once completed, the Museum of The Gorge will be the starting point for visitors wanting to explore the unique museums and landscapes of Ironbridge. 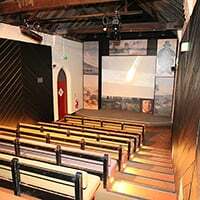 Upgraded audio-visual equipment will allow the museum to develop a varied programme of screenings, from historic Pathé footage to community film events. Eight project-related postcards printed with your name. 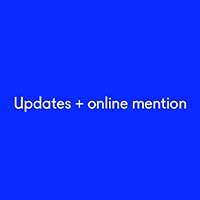 Plus, enjoy project updates and a citation on the Art Happens website. 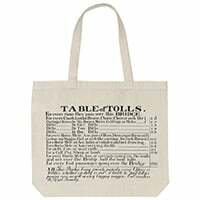 A tote bag inspired by the table of tolls (pictured) for crossing the Iron bridge. Plus, get unlimited free entry to all 10 Ironbridge Gorge Museums for a year, project updates and a citation on the Art Happens website. Beautiful clothbound book of historical photos, telling the story of the gorge as a vibrant industrial hub. Plus, free entry to Ironbridge Gorge Museums for a year, project updates and an online citation. 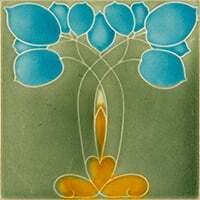 A beautiful, limited-edition tile – one of the Gorge's most famous exports. 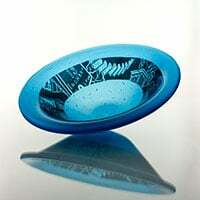 Plus, enjoy project updates and a citation on the Art Happens website. Specially commissioned piece, inspired by the local landscape. (Produced by Nikki Williams.) Plus, project updates and a citation on the Art Happens site. Your own seat plaque in our auditorium and a name-check at the end of the film. Plus, project updates and a citation on the Art Happens website. Your name will appear on a cast-iron plaque and you'll receive two invitations to a VIP tour. Plus, project updates and a citation on the Art Happens site.